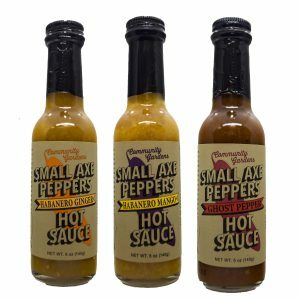 Small Axe Peppers Hot Sauce is made with peppers purchased from community gardens and urban farms in cities across America. 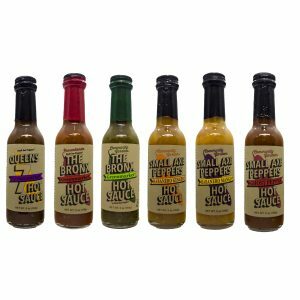 Each bottle you purchase directly supports the gardens and gardeners who grow peppers for these hot sauces. 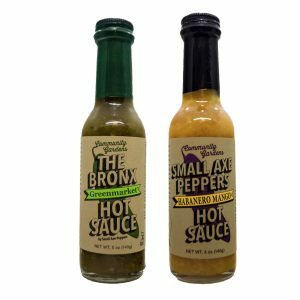 Small Axe Peppers partners with community gardens in cities across America: The Bronx, Queens, San Diego, Tucson, Phoenix, Salt Lake, Sacramento, Charlottesville, and many more to purchase locally grown peppers at premium prices. To date, we have already purchased thousands of peppers from small-plot community gardens and urban farms. This economic model provides gardens with sustainable funding to continue their vital community work.